Effective 2016, MANA's newsletter will be produced and distributed by KDA Communications. 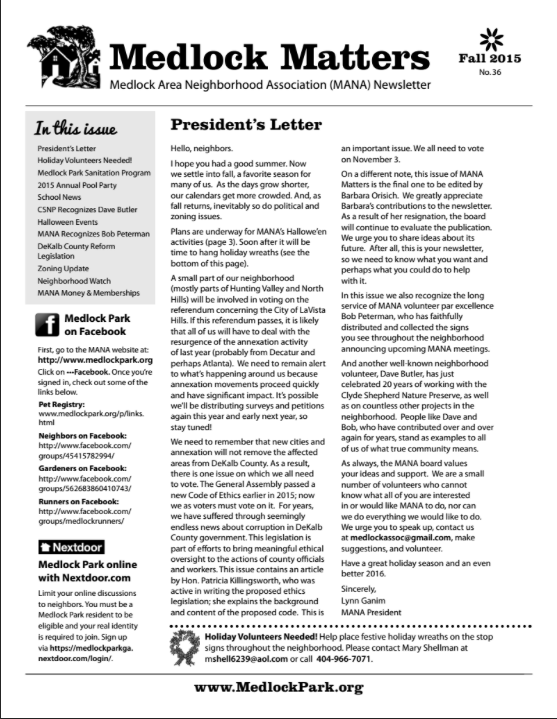 KDA handles newsletters for a variety of organizations and neighborhoods such as Druid Hills and Candler Park. MANA volunteers will continue to provide content but will no longer deliver the newsletter door to door (we are switching to US Mail delivery). 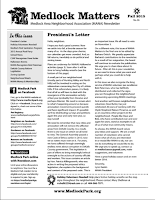 The newsletter will reach 1400 households and will be issued three times a year in February, June and October. Deadlines for ads are January 15, May 7 and September 7, 2016. Please visit our business directory for additional information on how to advertise in Medlock Matters.